For November, My Little Box are whisking us off to dreamland! After a long day at work all you want to do is collapse into bed right? But wait! First, you need to remove any jewellery you may be wearing. And where better place to put them? 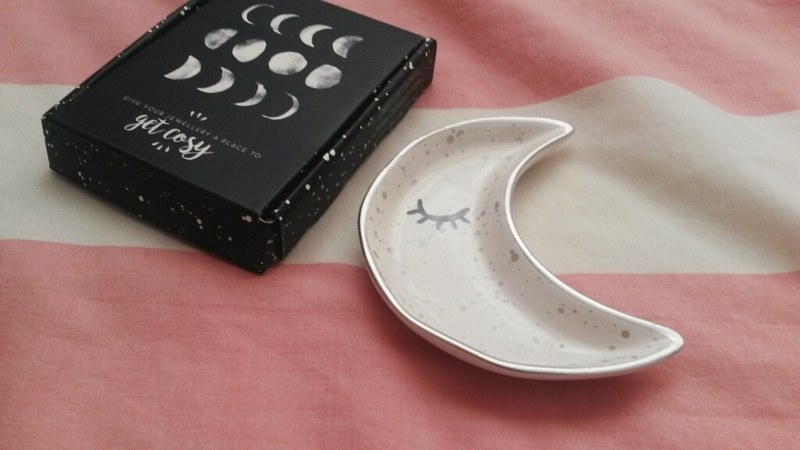 This gorgeous moon shaped jewellery dish! Hand painted with silver and dark blue, this ceramic dish makes the perfect bed for your accessories. 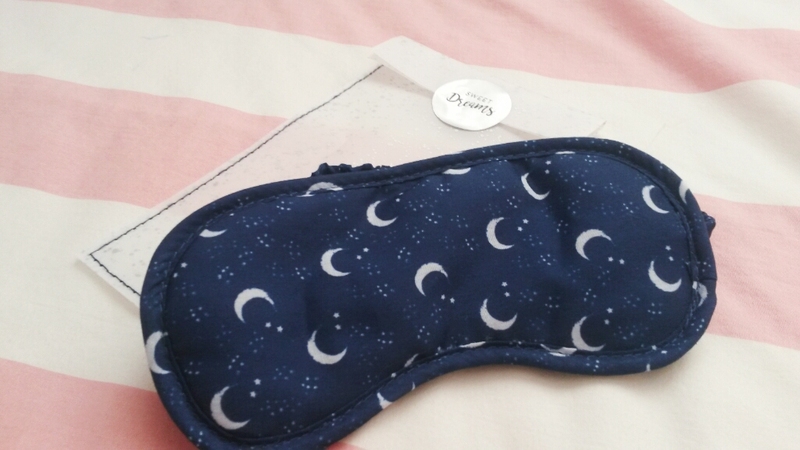 Next up is this double sided eye mask. Super soft and, let's be real, extremely cute. 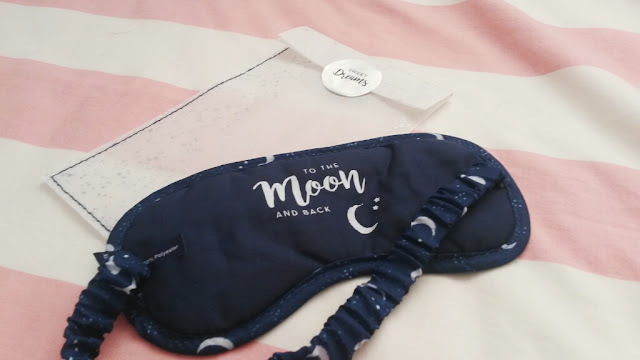 This sleeping mask will block any light that may find it's way to you during your slumber. I will definitely be taking this on any plane! 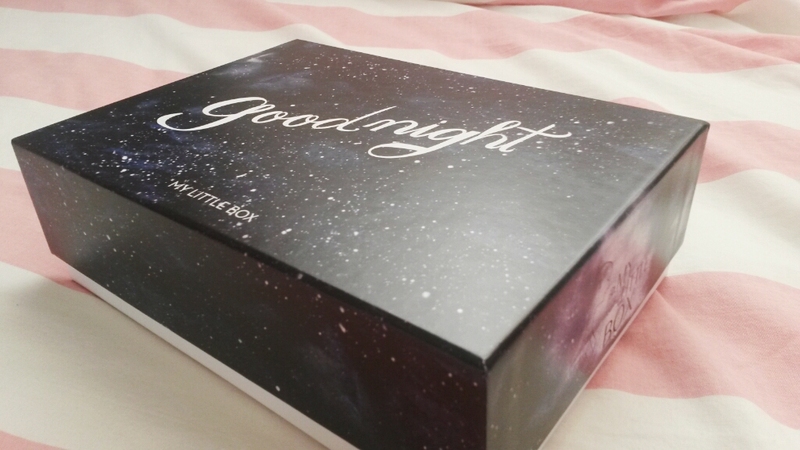 Now this one probably won't end up being apart of your nighttime routine. 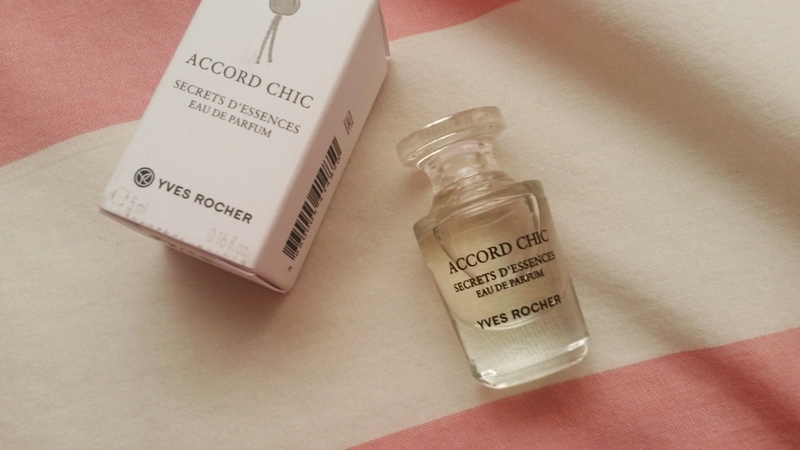 This Eau De Parfum by Yves Rocher is elegant, seductive, intoxicating and mysterious. When I imagine a beautiful Parisienne women these are the words instantly come to mind. Spicy peppercorn and an oriental mix help to create this exotic, iris-scented perfume that will linger on your mind. If you've read my previous MLB reviews, you'll know I have fallen in love with their own range, My Little Beauty. This month is no exception. MLB have whipped a magical mix of essential oils , green tea, grape seed and sunflower seed extract. Perfect for gently removing makeup or any dirt that's made its way onto your skin. It will only take you a couple of minutes and your skin is left feeling soft, clean and smooth. Bonus points for it being vegan! So you haven't got much time left before you need to run out of the door for work. Or maybe you just can't miss the double episode of Made In Chelsea, but you face is really suffering. 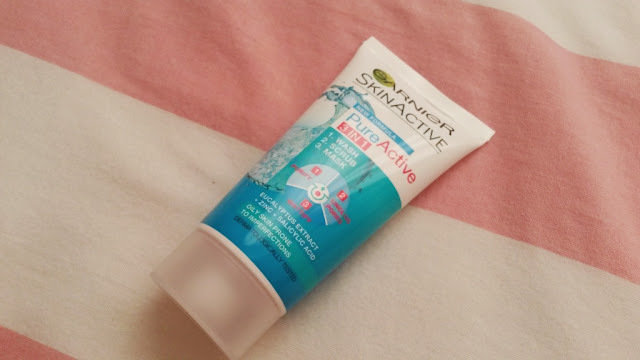 Enter Garnier's PureActive 3 in 1 wash, scrub and mask! In one little bottle you can cleanse, exfoliate and fight any blemishes all at once. 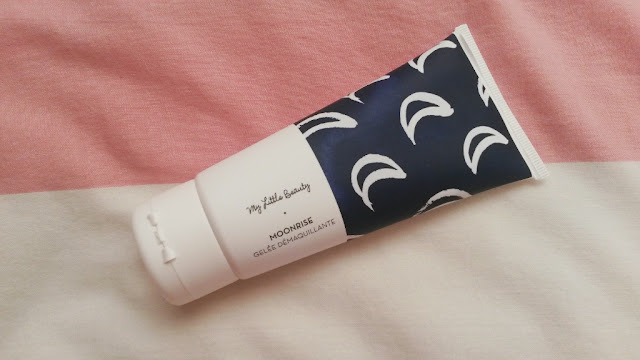 A quick skincare routine which will only take a couple of minutes! 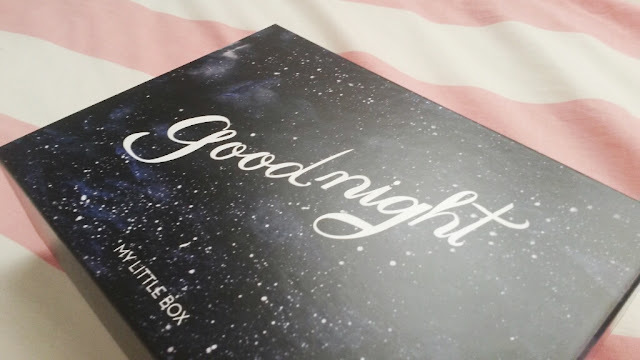 I love every product in this months box. Actually, it may be one of my favourites.